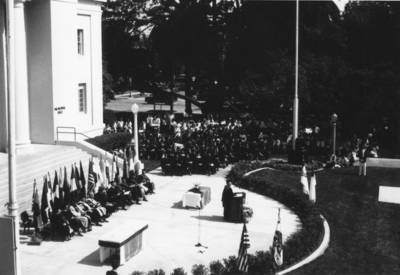 Commencement, Chapman College, Orange, California, ca. 1986. BW photographs; 4.75" x 6.75"